Last Sunday, the Oregon Ducks brought UC Irvine and the nation’s longest winning streak to an end using the energy of Ehab Amin and the shot blocking prowess of Kenny Wooten. The team now has to turn its focus to arguably the best team they have faced since North Carolina in the 2017 Final Four: the Virginia Cavaliers. The Ducks have proven that they belong in the tournament, but now they are posed with a more pressing question, a question that will ultimately define their entire season. How are they going to beat the number one defensive team in the country? Let’s take a look. 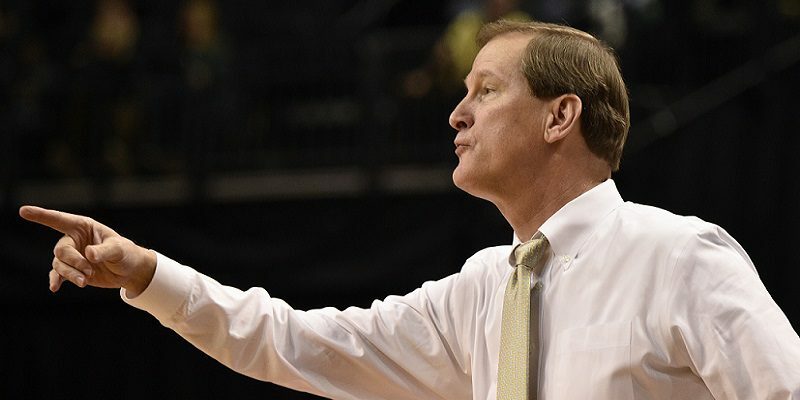 Can Coach Altman continue his late-season wizardry? Oregon is ranked 182nd out of 351 teams in assists per game this season. Their meager 13.3 assists per game is not conducive to beating an elite defense. Typically, when teams are playing a defense of Virginia’s caliber they try to move the ball and the players constantly so that the defense breaks down. Unfortunately, this tactic hasn’t been very successfully against the stifling Virginia defense. The most assists they’ve given up in a loss was 18, against Duke, arguably the favorite to win the national title. In their other two losses this season, the Cavaliers gave up a combined 16 assists. Whether or not it has been done in the past, the Ducks will need to move the ball and stay on the attack in order to keep the defense off balance. During the stretch to start the second half against UC Irvine, the Ducks had poor ball movement and it led to nearly seven minutes of scoreless offense. Luckily, the offense started to flow and the Ducks ended with just above their season average in assists at 14. UC Irvine ranks 21st in the nation in scoring defense, compared to UVA’s top ranking. No amount of “hero ball” by Oregon is going to get them past UVA; it is going to have to be a cohesive team effort. Neither team in the Oregon-Virginia matchup fields a player above 6’10 for any significant portion of the game. 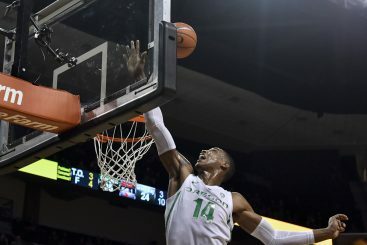 The Ducks play with four 6’9 players on the floor at a time, and they switch constantly, making it difficult for teams to attack any one player. It also means that the Ducks will have a size advantage almost everywhere on the floor. 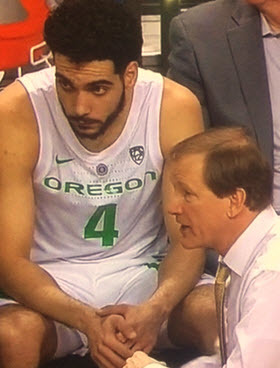 Having a size advantage means, in theory, that Oregon should have a rebounding advantage. Oregon will need to focus on following their shots to end up with plenty of offensive rebounds in order to get consistent scoring. If the Ducks are going to win, expect to hear Wooten’s number called early and often. Extra possessions also come from forcing turnovers, a stat the Ducks come in at 36th nationally with 7.7 per game. The best way to attack a defense in basketball is to shoot the ball before the defense is even set up. The Oregon-UCI game wasn’t truly decided until the Ducks started getting out in transition, preventing the previously stifling UCI defense from being able to impact the game. The same recipe will lead to success against UVA, and the Ducks should focus on pushing the tempo in order to stay ahead of the defense. If the Ducks try to play UVA in the half-court, there is very little chance that they will be able to effectively attack a defense that has given fits to some of the best teams in the country. Oregon averages only 70.5 points per game, which ranks 238th in the country. There are teams that averaged more points per game than them that didn’t even seriously contend to make the NCAA tournament field, let alone the Sweet Sixteen. Clearly the Ducks didn’t get this far on their offense. They got here on the back of a 12th-ranked defense that has improved seemingly every week all season long. If the Ducks are going to beat a team with this caliber of defense, they need to play an even better defensive game than their opponent. 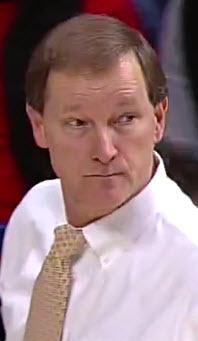 Oregon came out of the half against UCI playing like they did in mid February: lethargic. They weren’t challenging the Anteaters’ low-movement offense, and they failed to provide much resistance on the defensive end, with multiple players standing around watching their opponents score effortlessly. It goes without saying that giving up 14 consecutive points at any point against Virginia will mean the end of the season for this team. To prevent that situation, the Ducks will need to play as if their lives depend on this victory for the entire game. As soon as they start to play with less than maximum effort, Virginia will pull away. Oregon has to be the more energetic team, they have to want the win more, and they have to show it on the court. Oregon was re-ranked as the worst remaining team in the tournament. Virginia was re-ranked as the fourth best. All of that goes out the window when the teams face off in the Sweet Sixteen. If Oregon is going to win, they need to win completely. Failure to outperform Virginia in any one area will result in disaster, and Ducks fans will remember this season for what might have been without the injury bug instead of a deep tournament run. If the Ducks don’t have the will to win this game, they won’t. Lets hope they do.